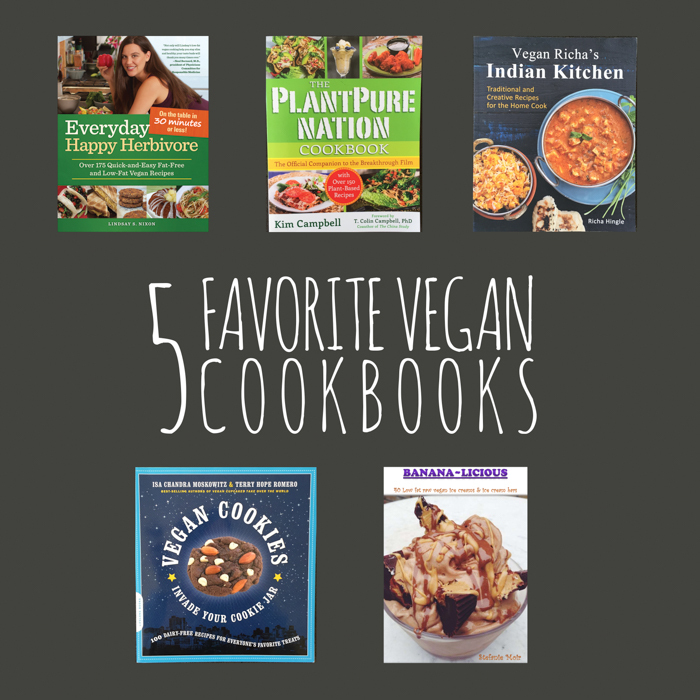 Today I wanted to share my five favorite vegan cookbooks. These are the cookbooks I turn to when I’m a little bored. 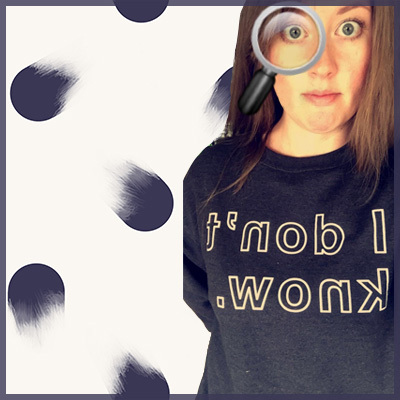 When I’m looking for some creative inspiration. Two of them are even dessert focused! 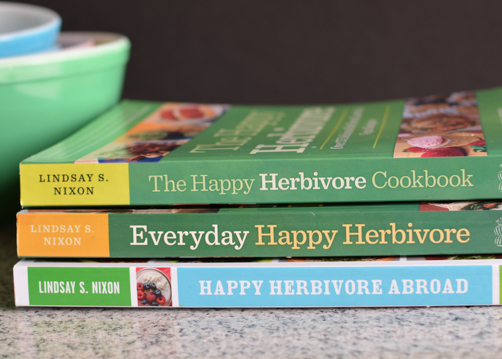 I love all of her cookbooks, but if I had to pick just one I would choose Everyday Happy Herbivore. It’s got some great basics that are worth coming back to time and again. 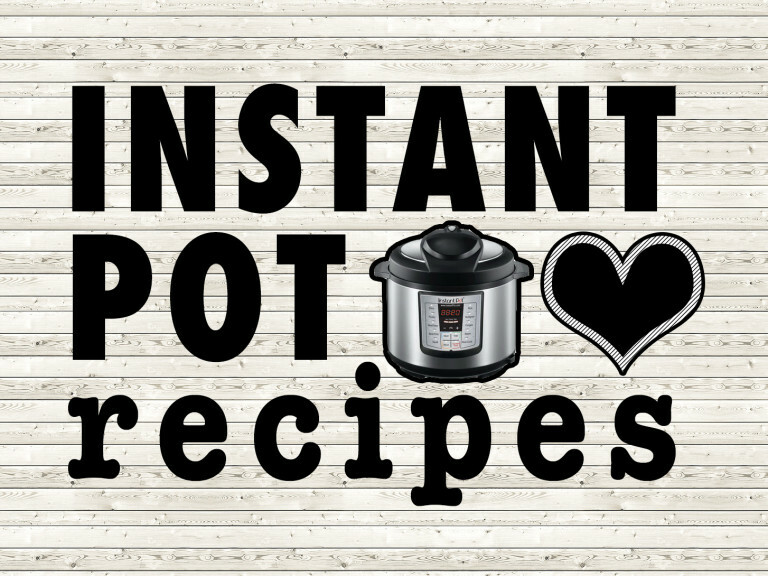 The recipes are typically whole food plant-based (wfpb) focus (always vegan), pantry-friendly, and low-fat or oil-free. 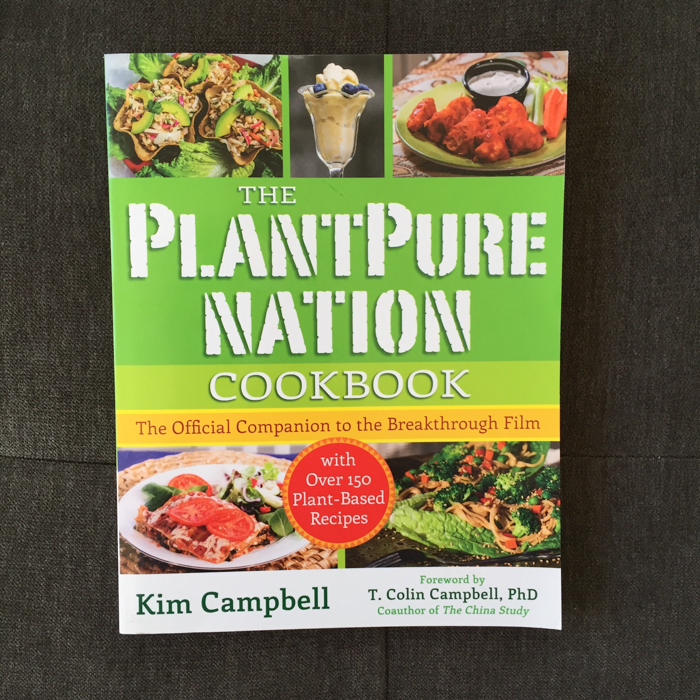 Kim Campbell is the culinary genius behind PlantPure Nation and the daughter-in-law of T. Colin Campbell. You might be familiar with the Campbell name from the popular book The China Study that analyzes the consumption of animal products and the relationship to chronic disease. 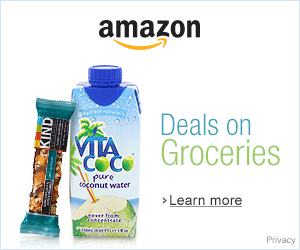 This book like Happy Herbivore is focused on wfpb eating with ridiculously delicious recipes. It’s my favorite out of all the China Study-based cookbooks. 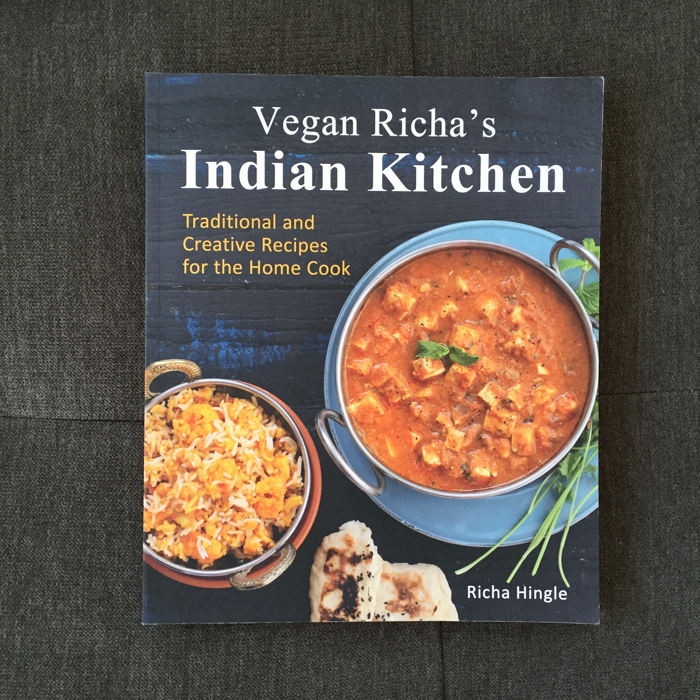 I bought Vegan Richa’s Indian Kitchen when we stopped by Tattered Cover in Denver a few months ago. I knew it would be a favorite because it’s plant-based Indian food. One of our favorite cuisines and we just don’t get it enough in Eastern Washington. With this cookbook I can make so many delicious and authentic entrees. I’ve already made Rainbow Chard and Peas in Creamy Sauce and it was heavenly. I have my eyes on dosas and the Gulab Jamun recipes next. I can’t wait to remake those sweet syrup soaked ‘doughnuts’. To demonstrate my dedication to this cookbook I even bought some fenugreek on Amazon. You might remember it makes my armpits smell like maple syrup and that I don’t like that. At all. Cookies. 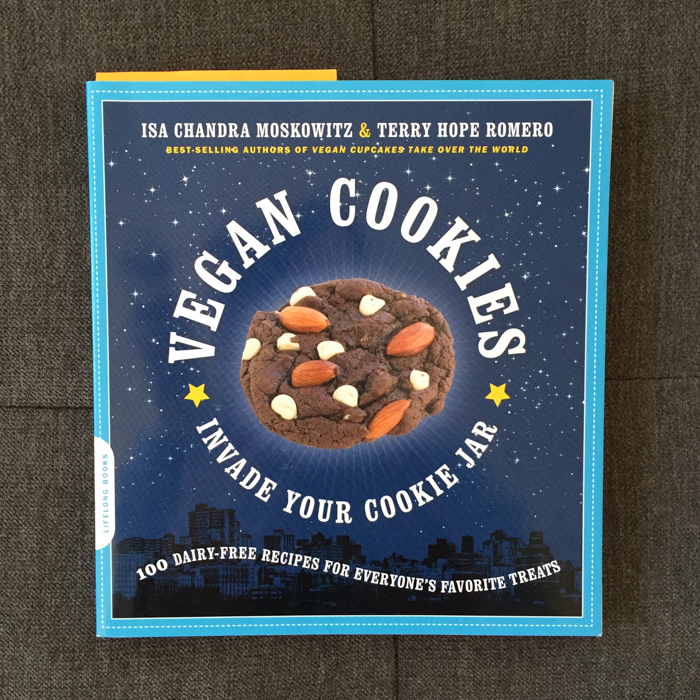 This cookbook is the Betty Crocker-Tollhouse marriage of all the vegan cookies you could ever want to make. Last year Jeremy and I each picked out two recipes and made them during the holidays. 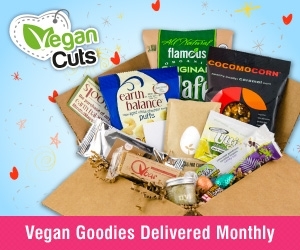 Some of our favorites: Magical Coconut Cookie Bars, Banana Oatmeal Breakfast Cookies, Peanut Butter Crisscrosses, Oatmeal Raisin Cookies, Peanut Butter Oatmeal Cookies, Cherry Almond Cookies, and Espresso Chip Oatmeal Cookies. Banana-licious is one of my favorites. It’s perfect if you like sweet treats and bananas. Frozen bananas can easily be transformed into decadent soft serve that is even suitable for breakfast. Not. Even. Lying. Perfect inspiration to knock another dairy item out of your diet. 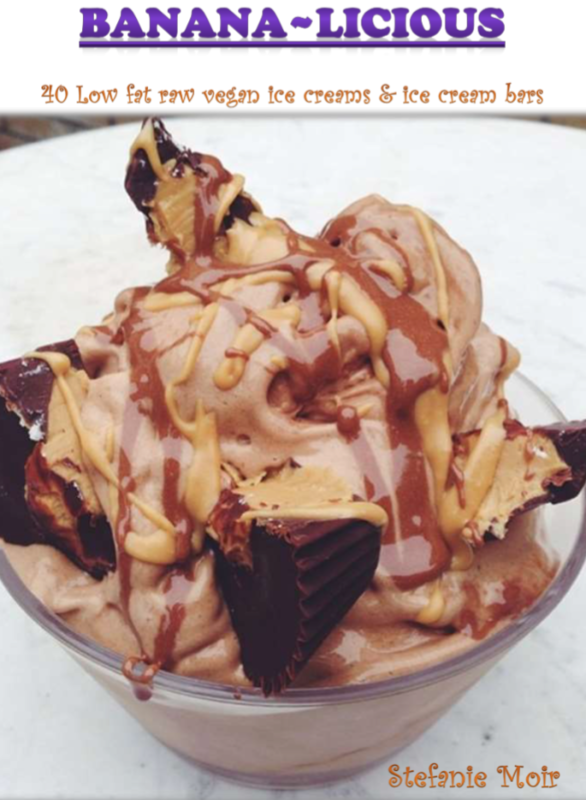 You won’t need Edy’s and Ben&Jerry’s with these recipes. 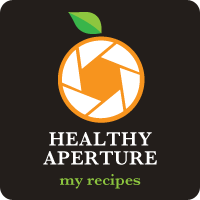 The pictures are tantalizing and the recipes are satisfying. Stefanie also has a great Youtube channel. My top two favorites are the Chocolate Brownie Blizzard and Apple Pie.